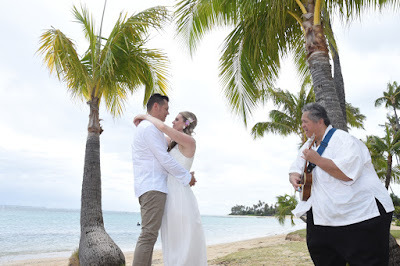 Mark and Kylie dance to the rhythm of Bernard's Ukulele. 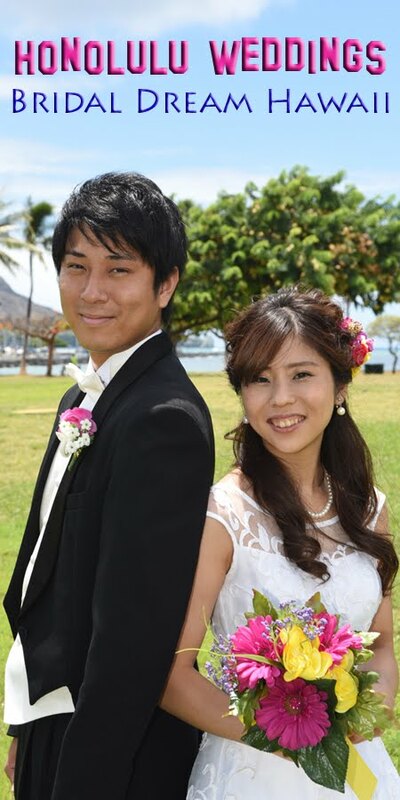 Visiting Oahu from their home in Australia. 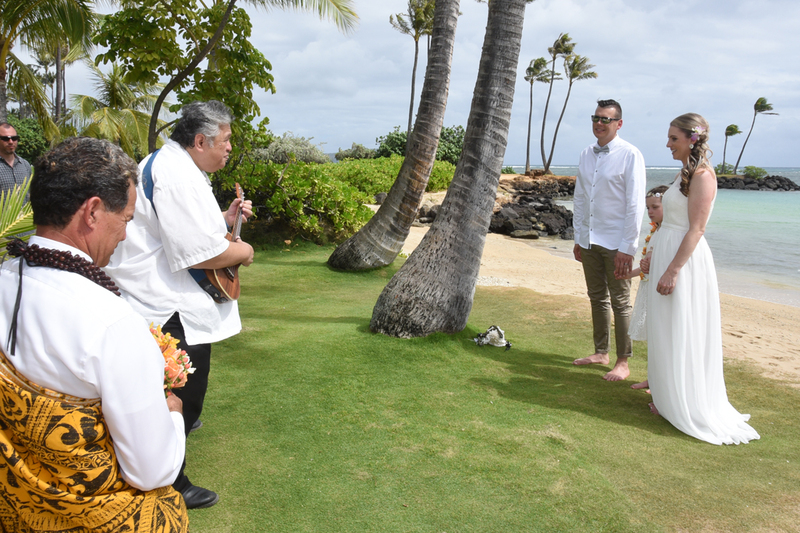 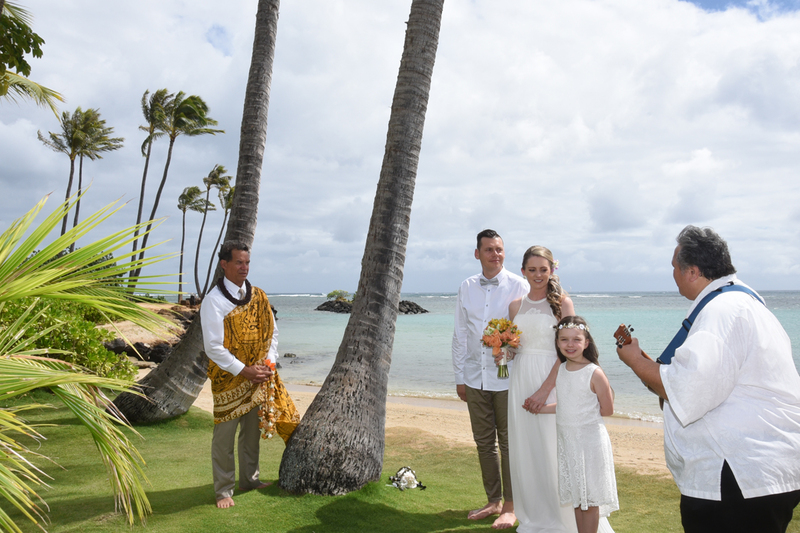 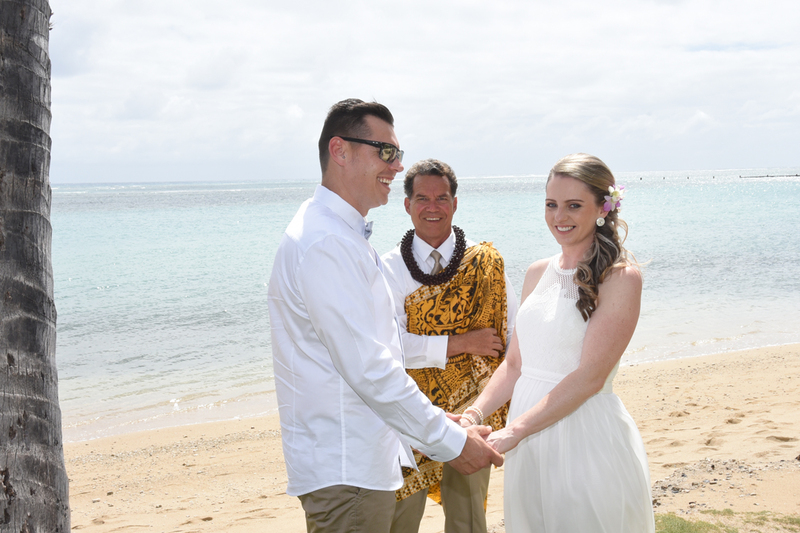 Wedding ceremony by Hawaiian Minister Kimo Taylor.